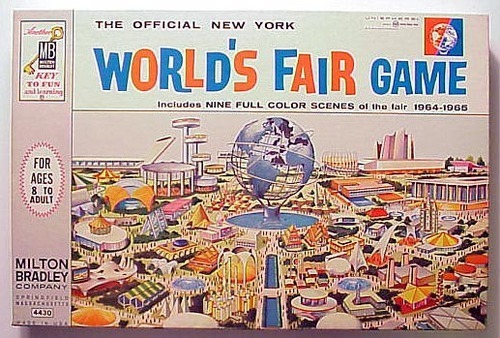 And 1939nyworlddsfair’s got some photos of the actual game board. 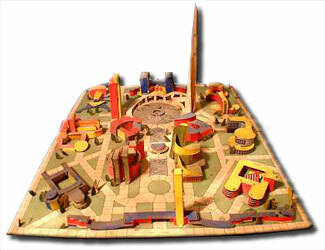 Apparently the idea was to build the fairground? It looks sort of Mouse-Trap-ish in design. Not the greatest photo of the game board, but what you can see is gorgeous. Anybody who stumbles across this post and knows more about this game, please share in the comments!